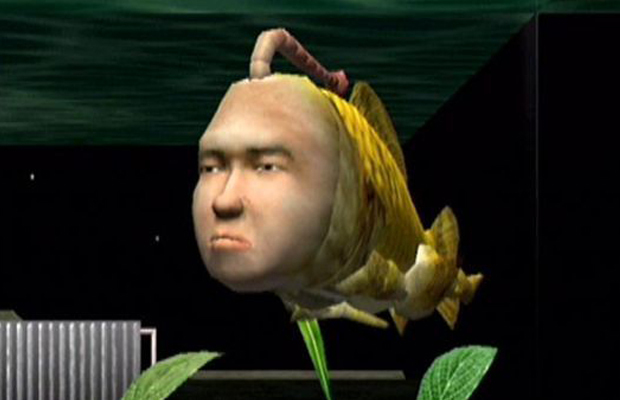 We can all agree that Seaman for the Dreamcast is a masterpiece in surrealist gamemaking, right? Well, the answer to that question is “Yes,” and I’ll accept no other answers. There was a rumor a while back about Seaman being revived for the 3DS. Obviously, nothing has come of that rumor since it spread like wildfire in ye olde 2012. However, a recent patent filing by Nintendo could allude to more Seaman finally hitting the portable. As reported by Siliconera, the titles Mysterious Pet: Legend of the Fish With A Human Face and Mysterious Partner: Legend of the Fish With A Human Face were filed in Japan. Sounds like Seaman to me! Could this finally be something that happens? And who will play the sardonic titular fish? How about Brendan Fraser or Tim Allen?